Humanity still lacks the luxury of a peaceful world. Often, we are forced into seeking solace from the world of art. Whether that be ?lm, music or even video games rarely matters so long as the days drift by carelessly, releasing the weight of the soul for only a moment. Music in recent times has held so little of this in the face of overwhelmingly grim odds at a future, music has turned to protest, the voice of the people, as it has so many times before. Yet, with each artist taking a stand, where does that leave humanity when its mind needs to be lifted? Even the halls of neo-classical, once so soothing and pale, have become infected with the dour shadow of experimentation, leaving it exhilarating but exhausting. 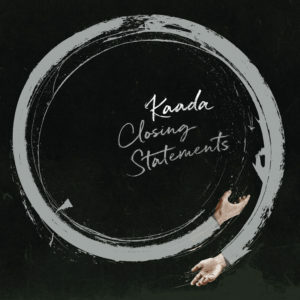 Enter John Kaada’s Closing Statements, a shimmering opus painstakingly crafted to soothe the collective woes of humanity.It’s a small miracle to come across music like this these days. Much of the world has readily abandoned lush symphonies, trading them for electric guitars and 808s. While that music certainly has its place, it is a shame that society has moved toward new genres at the expense of those perceived as old. Lucky for new listeners, Closing Statements is recognizable as timeless. It contains a vibrant, cinematic quality that makes it far more easily digestible than more obtuse productions such as the immaculate Nils Frahm or the somber Winged Victory for the Sullen. Instead, Kaada focuses on the inherent beauty of commonplace instruments. Opener “It Must Have Been The Coffee” is a quaint melody comprised almost entirely of cello and piano, calling to mind a sparsely populated coffee shop in a quiet corner of the city. “Everything Is An Illusion” again highlights the piano, but puts a somewhat more frenzied pace on it, listeners may notice a resemblance to something like “Deers” from Masayoshi Fujita’s Stories. Though that record focused entirely around a forest, something about Closing Statements feels deeply intertwined with urbanism; there’s a sense of place and belonging among concrete castles and apartment balconies. Yet despite all that, the album is not cold, one can positively feel the way it focuses on the life within the city, as opposed to the oft uncaring nature of urban environments. This is especially noticeable on “Useless, Useless,” where one can almost see the despondent twenty-something holding a box of their belongings to settle on the street that is now their home. Despite the despondency of the late run of tracks, it all wraps back to home on the closer “Home In The Dark,” a title that would suggest fear or urgency, but is instead content to take its time and play with joyful melodies. It fips itself on the head, leading eyes to see things that ears never hear, the track is cool but hopeful, for, at the end of this long night, there is a home.Kaada has done the unexpected with Closing Statements, taking a genre that is frequently regarded as overly technical and breathing a joyful, accessible life into it. There is triumph here, Closing Statements is the fower that grows between sidewalk cracks. It can be heard in the music, budding a new leaf with each trumpet fair, steadily growing as the piano clicks ever onward, a throng of voices bidding it heavenward.